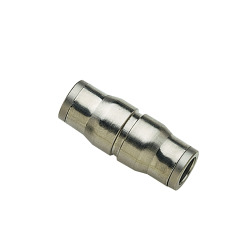 1/2" Tube x 1/2" NPT Nickel-Plated Brass Male Elbow | U.S. 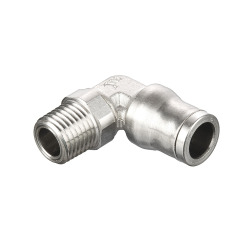 Plastic Corp.
To meet your technical and environmental requirements, Parker's Prestolok PLM fittings offers the robustness, reliability and resistance to industrial fluids for the most demanding environments. 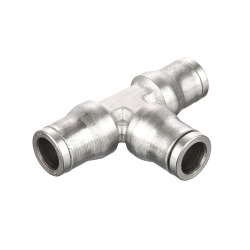 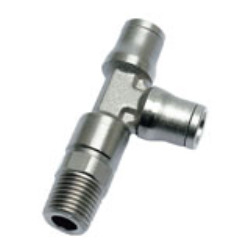 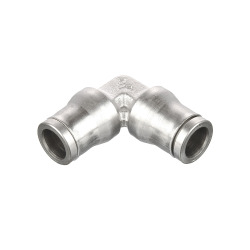 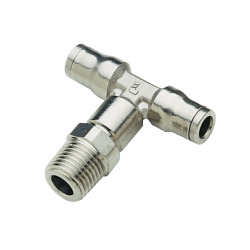 These fittings are great for industrial and chemical applications, as well as food fluids, harsh detergents, cleaning in cold/hot water, life sciences, welding, automation and food processing. 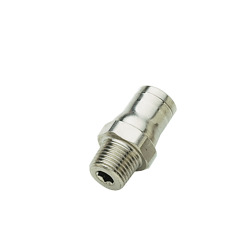 Compatible with polyethylene, polyurethane 95 durometer shore A, FEP & nylon tubing. Note: Max pressure and temperature range depend on the type of tubing used.